Will I survive or perish? relief is promised if I give up. blessing me to take another step. surpasses an ocean of ignorance. so I commit to the holy name. as we’ll become our highest ideal. burning everything away except love [prema]. Once a month we have a japa day where we join together with other devotees to chant japa for six hours, and then to share our realizations, struggles, and successes. 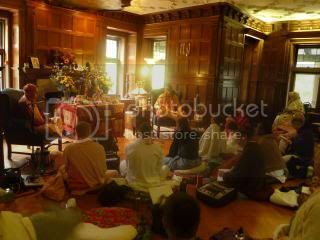 Some chant 64 rounds that day, but the point is to increase our purpose to increase our spiritual consciousness. 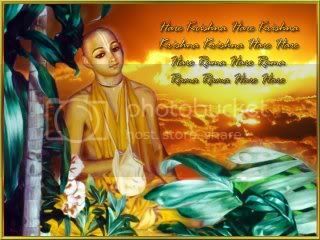 By our life and this day, we endeavor our best to please our gurus, and Shri Chaitanya, who has brought us the medicine of the holy name to cure the disease of worldliness. When our soul wakes up, all our problems are solved. The above free verse poem has gradually come to me over the last few days. As in all my writing, it is my small attempt to share with my readers, and encourage you to either begin the process of chanting, again take it up, or help you to persevere. Find support and fellowship on your journey. 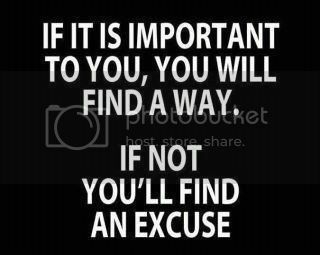 Stay the course. 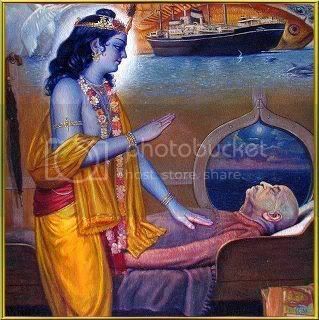 Give this one life to Krishna. Submitted by Varanasi DD on Tue, 2013-04-09 11:20. Submitted by Karnamrita on Tue, 2013-04-09 19:29. Thanks for your kind expression Varanasi dd. I live to be of service and encouragement for the devotees, so I appreciate you taking the time to do so. All the best to you in your life, japa, and path to Krishna. May you realize your most cherished ideals!